(CercleFinance.com) - Dutch financial group ING said on Tuesday that it will propose shareholders the appointment of two new directors to its supervisory board in April. ING plans to propose to appoint Mike Rees, a British technology consultant, and Herna Verhagen, the CEO of Dutch mail and logistics service provider PostNL, to its board. 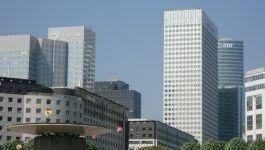 The proposed appointments have been approved by the European Central Bank, ING said.